Recovery images are separate partitions on your Android smartphones that can be booted to do common tasks like install some OTA updates, wipe the cache partition, wipe the data and factory reset the device. It gives you all the basic necessities to effectively recover your Samsung Galaxy S6 smartphone should you run into any trouble. Advanced Android users may sometimes prefer to replace the stock recovery with a custom recovery like the CyanogenMod Recovery or the TWRP Recovery. A custom recovery comes with more options from the menu, including but not limited to taking full backups and uploading zip files which are commonly used for uploading new aftermarket firmware. There are two ways you can enter recovery mode without root access and an extra way for anyone who does have root access. The non-rooted methods can be used whether you have a custom recovery or a stock recovery. The easiest and most straightforward methods for non-rooted users would be to use the hardware buttons. Anyone who is using a how-to guide and already has adb set up on the computer might find it easier checking out the command you need to enter from the command line instead. Lastly, those with root access on the Samsung Galaxy S6 smartphone can install the Quick Boot app. The application will remain on your device like any other app and you can tap the ‘Recovery’ option given from the apps main menu to boot your device in recovery mode. The Quick Boot app will boot to the stock recovery if you are running a stock recovery, or it will boot to the custom recovery if you have replaced the stock recovery for a custom version. These are the instructions to enter recovery mode on Samsung Galaxy S6 smartphones. Set up adb  on your computer so you can type adb commands from the command prompt. Open the adb folder so you are about to open a command window from the same directory. Hold the Shift key and right-click within your adb folder where there is no files. Choose to “open a new command window here” from the menu you get after completing the step above. The Samsung Galaxy S6 smartphone will now reboot to recovery mode where you can perform any action of your choice that is available from the menu. Turn off the Samsung Galaxy S6 from the Device Options menu or by long-pressing the Power key. Press and hold the Power + Home + Volume Up keys at the same time. 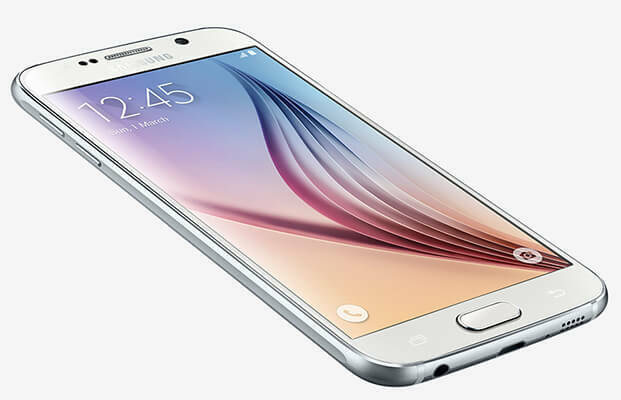 Wait a few seconds and your S6 will be in the recovery mode. Navigate through your recovery options menu using the Volume keys and make your choice with the Power button. In conclusion, you should have the Samsung Galaxy S6 in recovery mode and ready to continue with your other guides; some on this site for rooting with SuperSU. Anyone wanting to check out the Quick Boot  app for rooted devices can do so from the Google Play Store link.